This message is too short. 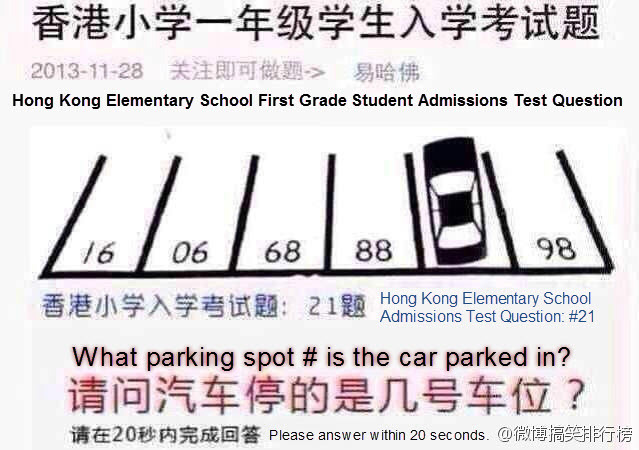 1st grade math question in the USA? Do you want one scoop or two scoops of ice cream? haha, took me about 30 seconds but i got it, feeling proud of myself... 87 haha!! I don't think it is parents care that is the problem, so many students could care less, the media and life around us tells us that we can make more money doing flooring then going to a 4 year with a degree and no job. I plan to go to college but it is discouraging when I know kids that are the worst 10% class rank but make good money doing landscaping managing "immigrants"
I've been out of work for three months and I'm still store and stiff every single day because of that job. Sure, you can make decent money doing those things, but you won't be able to do it for more than 10 or 15 years without winding up wore out and broke down. Guess who's 35 years old and back in college? Yep, that's right! What is your major? Congrats on going back and wish you the best of luck! Already have the electronics engineering degree, though I'm thinking about going a route that leads me to something that I am passionate about...education! That is awesome! Best of luck, engineering (especially automotive) is really big around here because of clemsons icar program, I wish I had the interest haha. My answere would be "Panamera".